It is our role to help you pay the minimum tax and keep the taxman out of your life. That’s a given. But at Evans & Partners, we want to make this as simple and straightforward as possible. Using Real-Time technology we can work with you to optimise your tax payments and make sure there are no surprises. It’s really important that you receive really good tax advice, in a clear, easy-to-understand way. There are so many tax rules, it’s hard for any business owner to keep up-to-date. You should be able to rely on your accountant to make sure you are maximising the use of tax allowances and reliefs. Our tax team will be able to help you navigate the tax laws and minimise your tax liabilities whilst keeping in mind the bigger picture for your business. EVANS & PARTNERS ARE MAKING TAX DIGITAL READY. 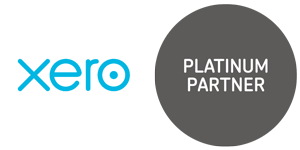 We use Xero online accounting software to allow you to work more efficiently and see your tax situation in real-time.